While the primary focus of Rise Raptor Project is educational, we often use our experience and skills to aid in the rescue and release of raptors in need. Alabama wildlife organizations sometimes call on Rise Raptor Project to secure local downed raptors in a timely manner, assess their condition, and communicate with rehab staff to provide a safe transport to their facility. 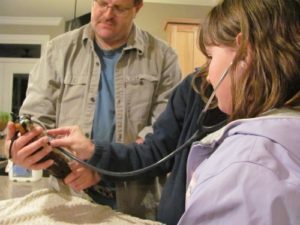 Sometimes, attempts are made to reintroduce young birds to their parents. 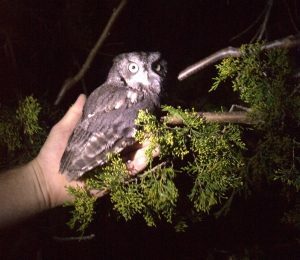 This was the case for some baby screech owls whose nest tree had been cut down not knowing it was their home. 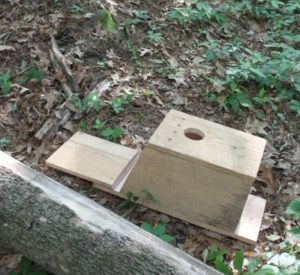 The men were anxious to make things right with the little owls and were given instructions on how to construct a nest box. The box was made immediately. 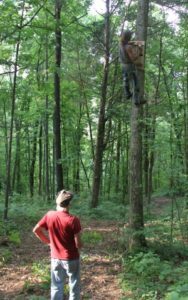 One of the men was a professional tree climber and volunteered to mount the box to a nearby tree. 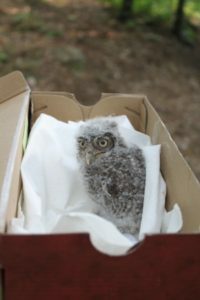 The baby owls were placed in the box and closely monitored. In this case the parents never returned. The babies were taken from the nest box, raised at a rehab facility, then returned to Rise Raptor Project for release. Success at last. We enjoy rescuing babies as well as adults of all kinds. Here are some more pictures of our efforts in this area. Our favorite activity in this area of focus is to have one of the raptors we rescued return to us healthy and ready to be released close to their original home. 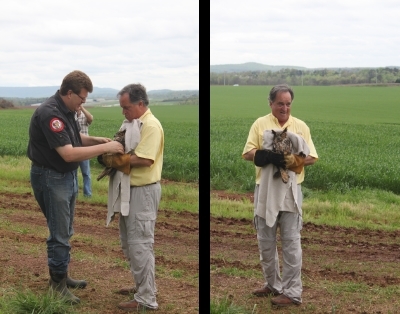 This kind gentleman was provided the thrill of releasing a Great Horned Owl he was instrumental in rescuing on his property. Those who rescue raptors in need are seeking to be good caretakers of their world. Help Rise Raptor Project make their efforts worthwhile.